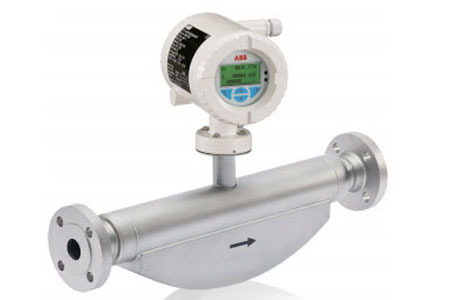 The core of Coriolis mass flowmeters are oscillating tubes. As soon as mass is flowing through them, a Coriolis force is affecting the oscillation, creating a phase shift. This effect is proportional and can be used to measure the mass flow. While this measurement is independent from the flow pattern and does not need straight inlet and outlet sections, it depends on stable tubes being mechanically in balance. Any mechanical change of the tubes, such as erosion or coating is very likely to change the balancing of the tubes and cause higher driver currents to maintain the same level of oscillation. This fundamental principle can be used to detect tube changes and can work as in-situ diagnostics.